Too often have I bought Greek yogurt, and poured it over my niece and nephew's breakfast - when I babysit, I like to give them a healthy start to the day, and I make sure I've bought a pot of the thick stuff. 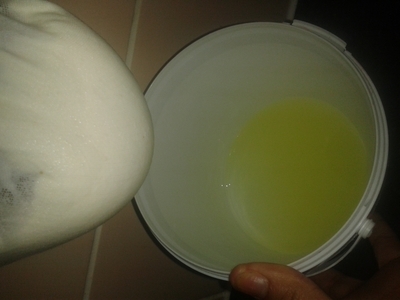 I recently, however, tried to make my own Greek yogurt, with great success! 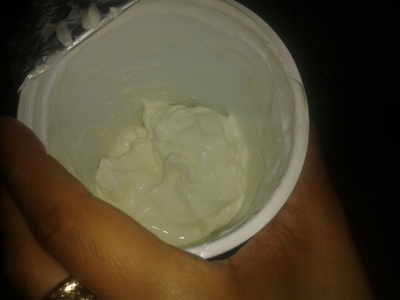 I only used the cheapest, natural yogurt I could find and overnight I had thick, fresh, Greek-style yogurt. It's amazing how much money I've saved, and now I can make it whenever I want, and feel a little bit richer. 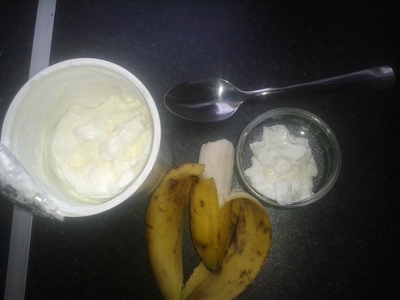 Follow the 'recipe' for an easier and cheaper way to enjoy Greek yogurt - when little ones see you doing it yourself they are more inclined to give it a try - trust me. 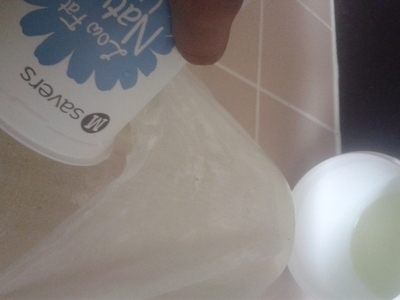 Hang the straining cloth so it is suspended above a surface, with a pot underneath (to catch the whey). 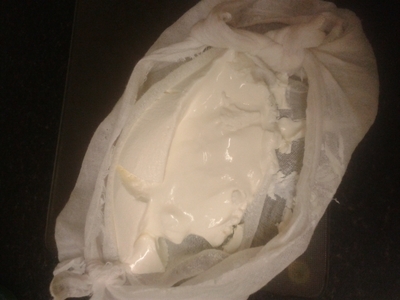 Pour all of the yogurt into the cloth. 8 hours later there should be a lot of whey strained from the yogurt, and a thick yogurt left over. 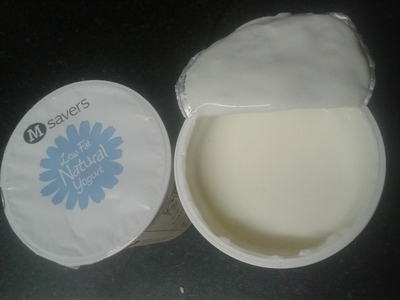 Carefully scrape all of the yogurt out of the cloth. 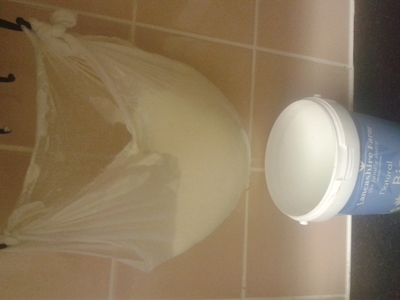 Transfer the yogurt back into the yogurt tubs you initially used. Enjoy however you like - it keeps just like regular Greek yogurt, when stored in the fridge. Happy straining!